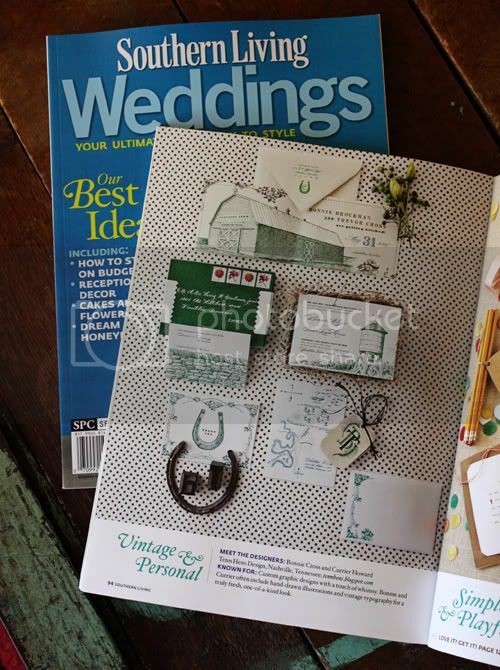 We've been waiting and waiting to share the news, but Tenn Hens work is featured in Southern Living Weddings edition!!!!! We got a call a few months ago from someone at the magazine who'd found our blog. We didn't think too much of it until they asked us for samples of our work. I packaged them up and sent off the package with fingers tightly crossed. 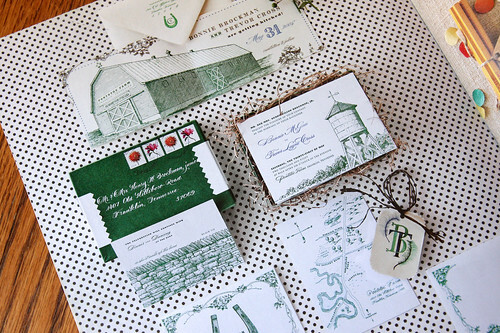 Sure enough they wanted to feature Bonnie's wedding invitation that we designed in '08. 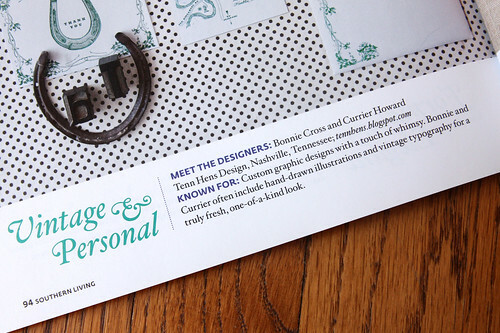 We are beyond thrilled to be included in such a beautiful publication.